Found this wonderful coat in Threads - the pattern is easy to find but the fabric is impossible. And of course found the Ann Taylor coat again - this time without the belt. 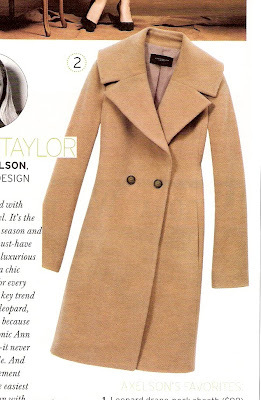 Wish it wasn't so darned expensive ... and I really could convince myself I need another coat.